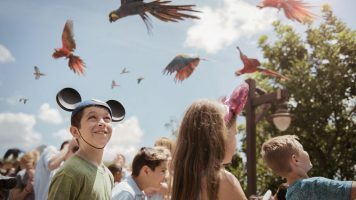 In just a few weeks, Disney’s Animal Kingdom® Theme Park will host its annual Earth Day celebration, Party for the Planet, April 20-22, 2019. During this special three-day event, you are invited to explore, engage and connect with the magic of nature through family-friendly experiences and specialty offerings. Party for the Planet kicks off the moment you enter the park, as no Guest will be able to miss a larger-than-life marine debris sculpture celebrating Disney nature Penguins on display in the Oasis. The fun continues throughout the park with unique character appearances, special entertainment, and commemorative photo opportunities available with Disney PhotoPass photographers. Throughout this special weekend event you can meet some of Disney’s amazing animal care experts, animal educators and conservation experts to see first-hand how Disney cares for animals and works to save endangered species worldwide. Guests can watch animal feedings and training experiences, specially planned for Party for the Planet, to learn how Disney cares for the animals. If you are looking for a unique experience during Party for the Planet, you can take a journey through tales of adventure and cuisine during Tiffins Talks, a special dining experience April 20-22 from 1-3 p.m., featuring the beloved creative force behind the concept, design and buildout of Disney’s Animal Kingdom, Walt Disney Imagineer and Portfolio Executive Joe Rohde. You can join Joe for a unique conversation as he regales the group with stories from his travels through a delectable 4-course lunch featuring global dishes, desserts and specialty beverages. Space is limited. Pricing for this dining package is $199 plus tax and gratuity and requires separate park admission. Reservations can be made beginning today by calling 407 WDW-DINE (407 939-3463). Guests are also invited to meet Joe Rohde at Mombasa Marketplace, 10 a.m. – 11:30 a.m. April 20 and 22, where he’ll be on hand to sign his own unique artwork, a commemorative lion print that will be on sale throughout the event while supplies last. A wristband is required to meet Joe Rohde. A limited number of wristbands will be distributed with purchase of the commemorative lion art at the signing location. 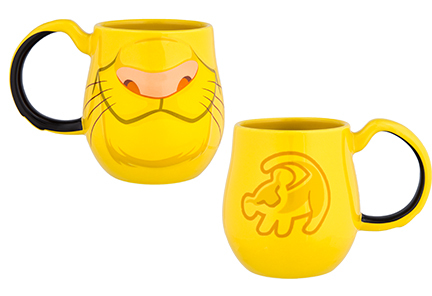 As if all the fun activities happening for Party for the Planet weren’t enough, on Earth Day, April 22, 2019 there will be a full assortment of “The Lion King” merchandise available at Mombasa Marketplace! 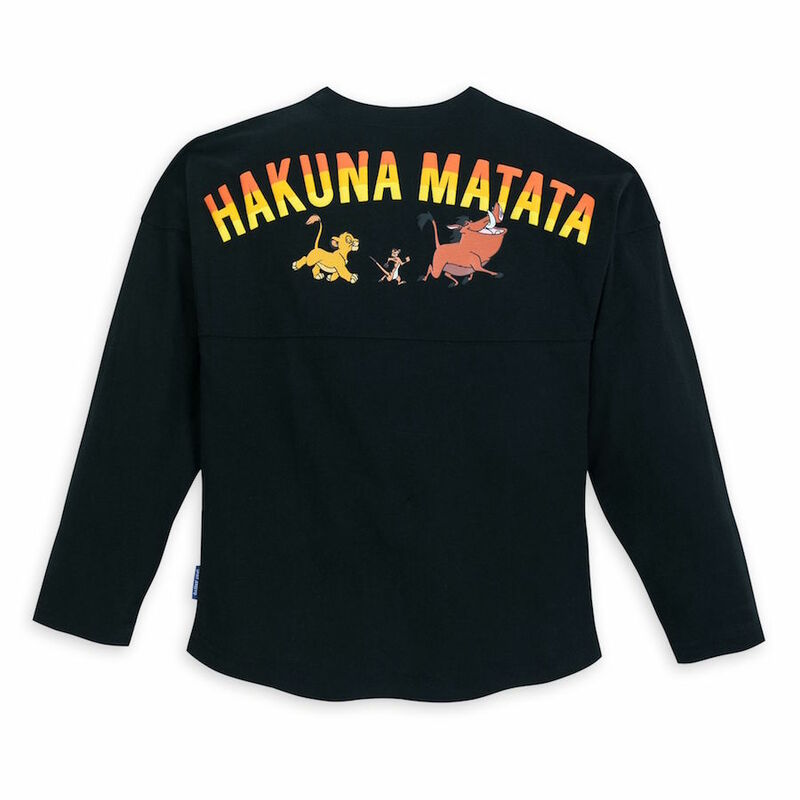 You can feel the love and take home so many fun souvenirs including an adorable Simba mug, Hakuna Matata Spirit Jersey, this “roaringly” cute Simba youth baseball hat or one of the many new items recently added to this collection. There are so many incredible ways to celebrate nature and the place we all call home at Disney’s Animal Kingdom.